Dr. James Parrish, our extensively trained bariatric surgeon, believes public outreach is an essential component of helping patients achieve healthier lives through weight loss. 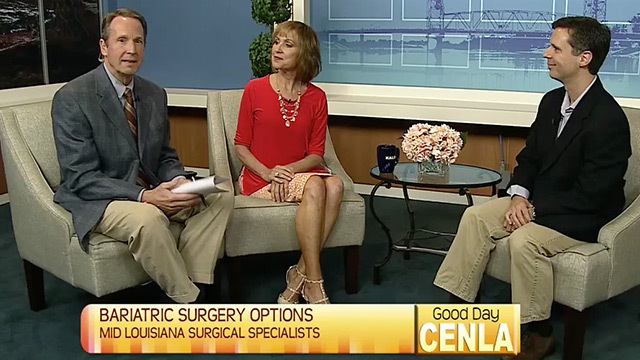 With this goal in mind, he spoke with the news anchors of Good Day CenLA about bariatric surgery. 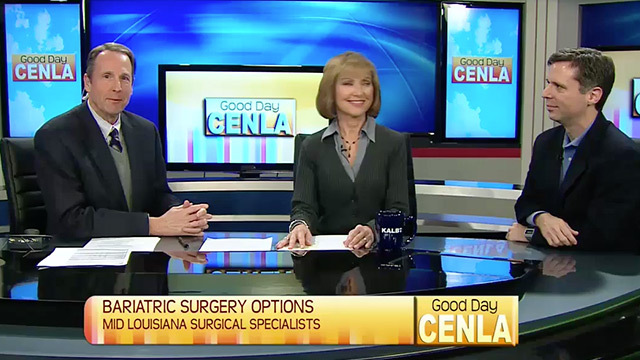 His first sit-down with Cindy Cespiva and Mark Hamblen occurred in January, and the discussion focused on the types of bariatric surgery available and what the lifelong weight loss program looks like. If you’re interested in learning more about bariatric surgery, we encourage you to come to one of our seminars. Our monthly meetings are designed to provide a wealth of helpful information so that you can make the best decision for your health needs and goals. Seminars are typically one hour long and patients can attend with or without registration. You’re also welcome to speak with our friendly and knowledgeable medical team if you have any questions.